When you’re in business, it’s all about the hats. Even though you are small, you have many functions to fill that correspond to many positions. At first, you wear the hats for many jobs yourself, which can quickly overwhelm you. You may not even be able to get to everything you need to do to make your business rock in the course of a day, so some hats remain unworn. While you don’t want overextend yourself, by either hiring people prematurely or wearing yourself out, your business may never realize its potential unless you start marketing yourself. How do you keep your staff small while having enough people to wear all the hats? Visitor interaction is easy via comments, forums, social media and other cool features. Your static web pages can guide your clients by the hand through your website. WordPress allows you to add plugins (enhancements or accessories for your blogsite), including ones that will manage your events. WordPress has been designed to attract traffic and encourage search engines to visit and index our posts and pages quickly. WordPress can also be set up to notify blog directories whenever you publish a new post. “Set it and forget it,” with the flexibility to test, enhance and improve your efforts when YOU decide to. WordPress has a ton of cool blogging features. Oh, and if you already have a blog, you can easily import your existing blog posts right into WordPress. So you can reuse your content and fill your blogsite right away. Zippity zoom! Search engine optimization has been built in to WordPress already, and optional plugins will give you a greater advantage, even over other WordPress users. You can install and host WordPress on your own account. That means it’s YOUR website address, www.yourblogsite.com that will be indexed by search engines and found by people who are looking for our services and products. We can easily add plugins to track statistics. 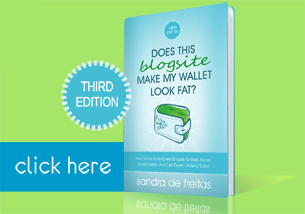 In my new book “Will your Blog site May Your Wallet Look Fat, Third Edition,” you can get detailed, practical, and jargon-free instructions on how to put your blogsite to work for you doing all of these things AND MORE! You’ll find that the handy software that creates it will perform functions you may not have even been aware you needed. Keep reading my upcoming blogs to find out more about how WordPress can cost-effectively where all the hats you need to break your business soar. To get the whole scoop now, just buy the book by clicking here.